Snap on a playtoy to the elastic loop or use it to secure a child cup. 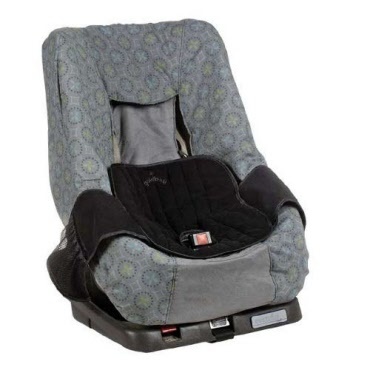 The tray attaches easily to a car seat strap to prevent it from falling off a child's lap. If using in a restaurant or other playspot, simply detach from the car to provide a clean, manageable play surface. Flat surface for toys, treats and colouring. Padded sides help keep toys, drinks and snacks in place. Wipes clean - made from Nylon and Polyurethane foam. Attaches easily to car seat straps so it won't fall off your child's lap. Toy loop or sippy cup holder. Soft material collapses under pressure. 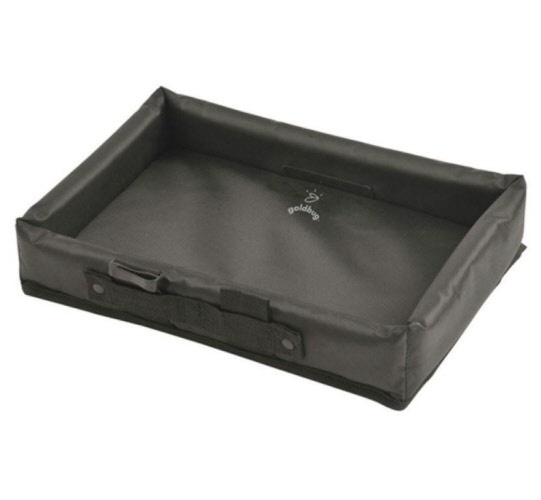 Bottom features durable gripper material to keep tray from slipping.